Volunteers to help taxpayers claim Earned Income Tax Credit (EITC) up to $8,293. Long Island, NY - February 25, 2015 - For the 12th year, Bethpage Federal Credit Union, the largest credit union in the Northeastern region, will help low- to moderate-income households on Long Island prepare their tax returns at no cost. The Volunteer Income Tax Assistance (VITA) program is offered through 12 of Bethpage’s designated branch locations and through VITA mobile locations to provide additional hours and convenience. VITA services will be available on Saturday afternoons at the following designated Bethpage branches: Bay Shore, Central Islip, Elmont, Farmingdale, Freeport, Hempstead, Massapequa, Patchogue, Riverhead, Roosevelt, West Babylon and Westbury. No appointments needed. Bethpage Mobile VITA is available through various local libraries and community based organizations throughout Long Island during the week. For a complete listing of locations, addresses, contact numbers and times, go to the website or call 1-800-628-7070. Beginning February 7, 2015 through April 11, 2015, over 300 IRS certified volunteers, including bilingual taxpayer assistants, will be available to meet with eligible taxpayers with 2014 incomes of $55,000 and below to file tax returns. Bethpage’s VITA Program is open to all eligible Long Islanders, including non-Bethpage members. As part of its VITA program, Bethpage also partners with the Health and Welfare Council of Long Island to educate eligible taxpayers about the Earned Income Tax Credit (EITC), an anti-poverty program available to four out of five eligible Long Island households. VITA volunteers will work with taxpayers to ensure that eligible families are aware of the Earned Income Tax Credit (EITC), which could bring an additional $8,293 into the hands of deserving Long Island families. Eligible households can claim up to three years back of Earned Income Tax Credits. Bethpage continues to set records with the number of taxpayers assisted and amount of refunds received from their VITA program. In 2014, Bethpage completed 2,489 VITA tax returns and helped secure IRS total refunds of over $2.8 million, a 23% increase from 2013. Since the program’s inception in 2004, nearly 10,000 individuals have filed their tax returns through Bethpage, resulting in over $12 million given back to Long Islanders. Qualifying taxpayers planning to take advantage of Bethpage’s VITA program need to bring the following materials with them for review: photo identification, social security cards for you, your spouse and dependents, current year’s tax package if you received one, wage and earnings statement(s) Form W-2, W-2G, 1099-R from all employers, interest and dividend statements from banks (Forms 1099), a copy of last year’s Federal and State returns if available, bank routing and account numbers for tax refund direct deposit, total paid for daycare and provider’s tax ID. To file taxes electronically for a married filing joint tax return, both spouses must be present. For more information on VITA and paperwork needed, please visit Bethpage’s “Volunteer Income Tax Assistance Program” page located under the Community section on the website or call 1-800-628-7070. Bethpage Federal Credit Union is a not-for-profit financial cooperative, existing solely to serve its members and has experienced rapid growth in recent years to become a strong alternative to banks. 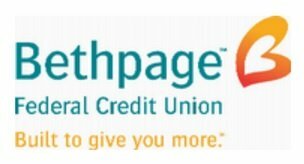 Bethpage was approved for the largest federal community charter in the U.S. in 2003 and is now the largest credit union in the Northeastern region and Long Island’s primary community financial institution with 255,000 members, 33 full service branches and more than 60 Shared Branches throughout Nassau and Suffolk Counties. As a financial cooperative, Bethpage offers the best-in-market rates, low fees and world-class service, and a full portfolio of personal and commercial financial services. Bethpage maintains branch locations in Albertson, Baldwin, Bay Shore, Bay Shore King Kullen, Bethpage, Centereach, Central Islip, Commack King Kullen, East Meadow NuHealth Medical Center, East Northport, Elmont, Farmingdale, Freeport, Glen Cove, Hempstead, Huntington, Levittown King Kullen, LIU Post (Brookville), Long Beach, Lynbrook, Massapequa, Melville, Mineola, North Babylon, Patchogue, Port Jefferson, Riverhead, Roosevelt, Seaford, Smithtown, Valley Stream King Kullen, West Babylon and Westbury with over 500 surcharge-free ATMs in King Kullen, CVS Pharmacy and Costco locations throughout Long Island. For more information, call 1-800-628-7070 or visit the website. Subject: LongIsland.com - Your Name sent you Article details of "Free Tax Filing Assistance for Eligible Long Islanders through Bethpage Federal Credit Union"